Bollywood actress Kareena Kapoor was spotted on the sets of her upcoming movie. 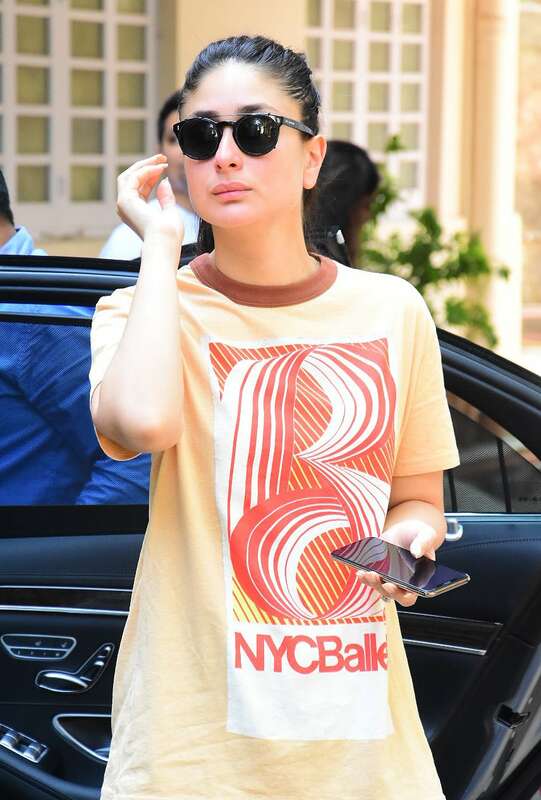 Only Kareena can manage to look this good in an over-sized t-shirt and track pants. The actress aced the casual look in a yellow t-shirt and blue track pants. After wrapping up Good News, Bebo will start shooting for Angrezi medium, which also stars Irrfan Khan. Kareena will be seen in Good News, which also stars Akshay Kumar in the lead role. The actress will unite with Akki on screen after nine years. They were previously seen in Kambhakt Ishq. Post giving birth to her darling son Taimur Ali Khan, Kareena was seen in Veere Di Wedding. The film won big at the Box Office. Kareena has also signed Takht which is backed by Karan Johar's Dharma Productions.